Tohei-sensei was born in 1920 and grew up in an upper class Japanese family, in Tochigi prefecture, north of Tokyo. He was sickly as a child and was introduced to Judo and Zen by his father to try to strengthen his constitution. Later he became involved in Ichikukai misogi training and studied with Dr. Nakamura Tempu, a man often described as the "Norman Vincent Peale" of Japan. These events and training shaped much of what was to develop in later life. In 1939, he met O-sensei and was introduced to the art of Aikido. He expressed some amazement that despite his Judo training he was unable to deal with this much older man and quickly became a serious student of the Art. After training for a short time, he was called up to the army and spent time in action in China. During this time, he became aware of the importance of a calm mind and the unification of mind and body that were to shape much of his later training, and developed quite a reputation as a "lucky" officer who never lost a single man under his command even during the most fierce fighting. After the war he returned to his role as uchi-deshi to O-sensei, becoming one of the strongest and most influential figures within the Aikido world. 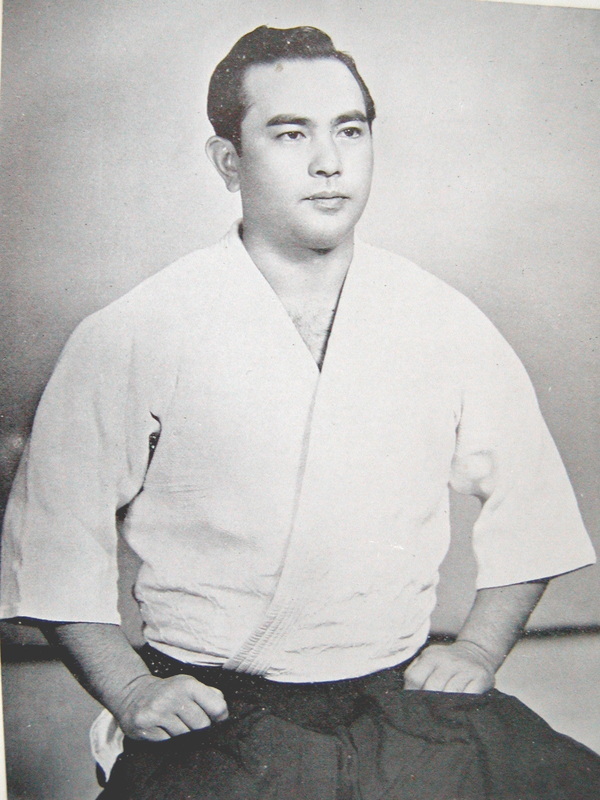 In 1953, he was sent by O-sensei to Hawaii, becoming the first teacher to introduce Aikido to the United States. Over the next decade or so, Tohei-sensei came to the US many times and was responsible for training many of the fine teachers in the U.S. today. It was during this period that his Aikido underwent a lot of change, since dealing with HUGE Americans was quite different to the conventional training in Japan. Tohei-sensei rose to the position of Chief Instructor at the Aikikai Hombu dojo and was the only person awarded 10th Dan by O-sensei and issued with a formal scroll of rank. After O-sensei's death, Kisshomaru Ueshiba-sensei became the second Aikido Doshu, and Tohei-sensei continued to be the Chief Instructor. For the next few years things continued as before, but there were tensions building within the senior Aikido-ka. Tohei-sensei had very clear ideas about the best way of teaching Aikido, ideas that were based largely on the principles of Body/Mind Unification taught by Dr. Nakmura Tempu. He proposed to introduce this system of teaching Ki within the Aikikai but met with much resistance from the more traditional of the senior teachers there. So, in 1971, while still the Chief Instructor of the Aikikai, Tohei-sensei founded the Ki no Kenkyukai, to teach the principles of Ki and Unification of Mind and Body, outside the Aikido framework. This position continued for a few more years until the rift between Tohei-sensei and the rest of the Aikikai became too big and he resigned. In 1974 he then founded Shin-shin Toitsu Aikido, to teach Aikido in accordance with the Ki principles. "The power most people think they have is only like the small visible segment of an iceberg which floats above the surface of the water. They have forgotten that they also have the power of mind and body unified which is like the much, much larger, unseen part of the iceberg beneath the surface. Unaware of their true power and subjected to present, constantly changing social, political and economic conditions, these great many people suffer from nervousness and become very susceptible to various illnesses. At age 40 or 50, when a person's character is fully developed and matured, he should be most able to use his full real power. Yet at this age, if he falls ill, becomes indifferent, and cannot utilize his full power, not only he himself suffers a great loss, but society also loses a great deal. One of the basic aims common to all the nations of the world is to lead their young people along the right way. Still a concrete method of proper education has yet to be found. Every nation has gymnasiums to train the body, but not one has such a place to train the mind. Yet no one can solve problems with only their bodies. People practicing Aikido can also benefit greatly from the teachings of the Ki Society. If we perform the arts of Aikido with only physical strength, our power is limited, and we will not be able to throw a bigger or stronger opponent. But, if we master the principles of Ki, we will have the strength of mind and body unified and be able to throw even big men easily. Also, while the techniques of Aikido must not be used except in an extreme emergency, the teachings of Ki Society can be applied in our everyday life. The Ki Society teaches not "how to say" but "how to do." Its purposes are as follows: The Ki Society hopes to lead many, many people to practice mind and body unification. It hopes to open the eyes of people to their own real, natural power and to send them to a happy, healthful life, helping them to strive for and build a more peaceful society and nation. To train many, many instructors for this task is also an aim of the Ki Society."